Big Brother HotShots is finally here with 26 housemates from around Africa in the Big Brother Africa house. Tanzania’s Laveda won the Talent Contest and was rewarded with the Head of House (HoH) title. This means she will not be up for eviction next week. Check out profiles and images of all the housemates. Hairdresser Sipe is from Lilongwe and has an MSCE and ICM Hotel and Catering Management qualification. Her favourite foods are nshima with chicken and okra, pizza, Thai food and “a bit of Indian cuisine“. Her favourite TV shows include Keeping Up With The Kardashians, Say Yes To The Dress, How Do I Look?, Jerseylicious and Idols. Her favourite musicians are Beyonce, Brandy, Sam Smith and Zahara and her favourite actors are Idris Elba and Angelina Jolie. Sipe’s favourite place in her country is Lake Malawi, because it relaxes her. Her favourite place outside of Malawi is Paris. “It’s the most beautiful place in the world and I always imagine spending time on my honeymoon there,” she says. “It’s the City of Love!”. She says the best things about Africa are the people, the landscape and the food. She lists Beyonce as her role model because “she’s hardworking and she makes it look so easy. I’d love to be like her“. Sipe’s Mom played a huge role in her life too. “She raised three children on her own and it hasn’t been easy for her, but she managed to see us through school. She’s a very strong woman,” she says. Hip hop singer Trezagah studied Civil Engineering. He doesn’t have a favourite food, because he says he loves eating and “I eat everything!” The classic Hardy Boys books are his favourite, while he enjoys the Discovery and National Geographic channels on TV because he likes to “watch crocodiles and sharks attacking“. 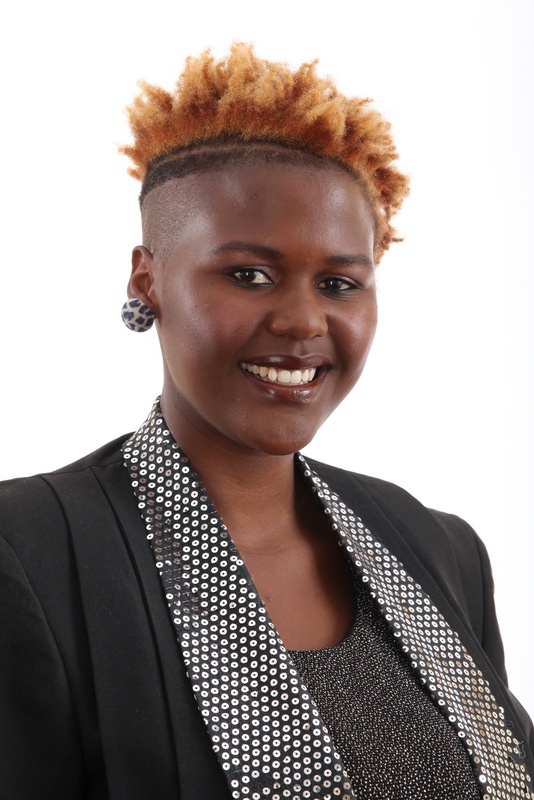 Trezagah was inspired to enter Big Brother Hotshots by watching previous seasons. He is both happy and nervous at the thought of having the continent’s eyes on him. He says the best thing about Africa is “the culture each country preserves” and says his favourite place in Mozambique is Yofo Beach. He likes the Caribbean Islands because he’s a great fan of nature. His role model is Jay-Z, “because he knows how to dress, how to be on stage, how to behave and has good business control“. His parents have played an incredibly influential role in his life because they always showed him what was right and what was wrong. He describes himself as “happy, active, wise, serious and calm” and says the best thing about himself is the way he treats people indiscriminately, saying he can “be a friend of a poor person or even a person that sleeps on the street“. A 1.93m-tall model with a Higher National Diploma in Maritime Studies, Tayo, from Nigeria, certainly stands out in a crowd. He lists his favourite foods as Eba an Okra Soup mixed with fish stew, his favourite musicians as 2Face Idibia, Beautiful Nubia and D’Banj. 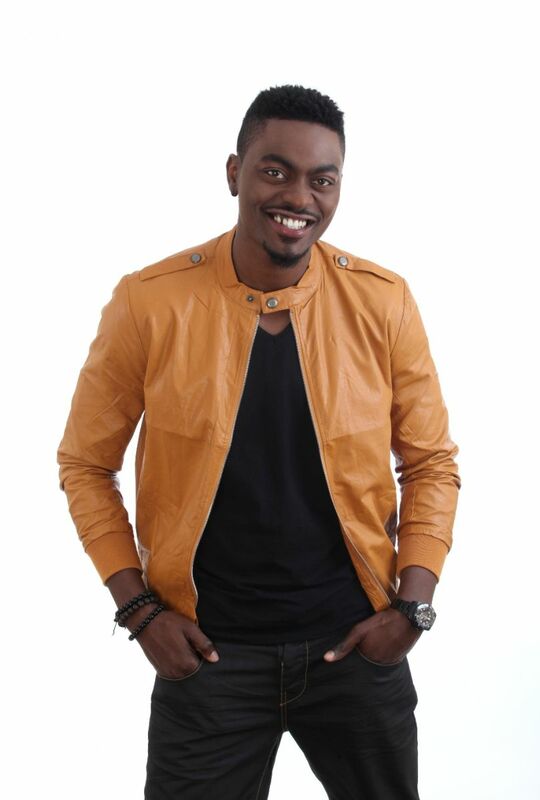 Tayo says his favourite place in Nigeria is Oyo Town, his place of birth. “That’s my home, where I started life. It reminds me of who I am now and how far I’ve come in life,” he says. He says the best thing about Africa is “culture and pride” and that his favourite place outside of Nigeria is South Africa, which he calls his “home away from home“. 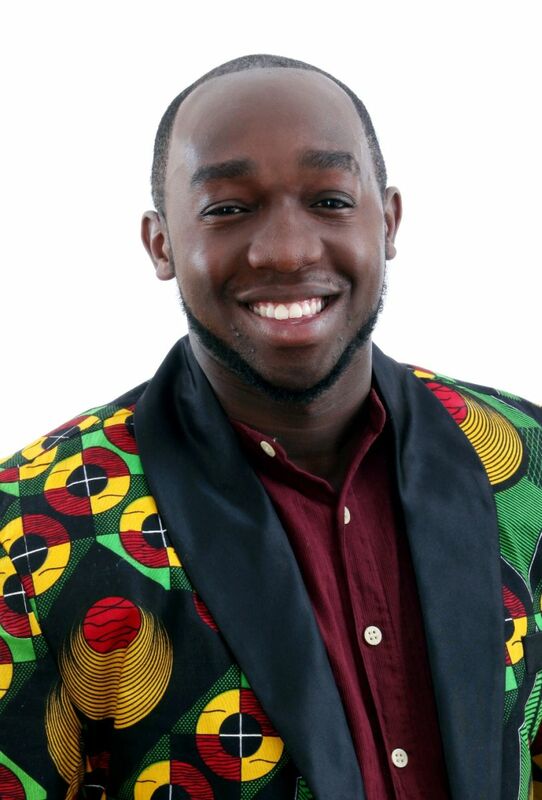 He entered Big Brother Hotshots because he believed in himself, and was also encouraged to enter by others. “I like to be seen and to be heard,” he says. Tayo says he’s not willing to change who he is or disgrace his family and friends to impress viewers or his fellow Housemates. If Tayo wins the grand prize, he says he’ll, set up his life and give himself a life of luxury. 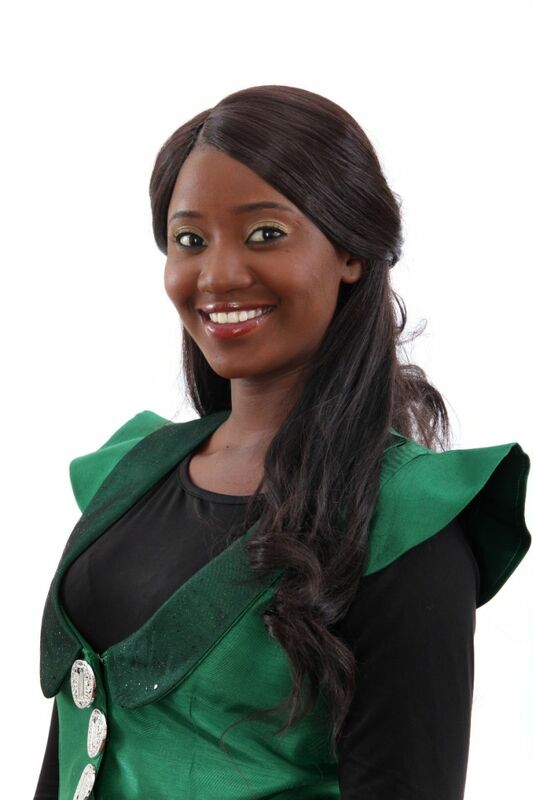 Sheilla is a student from Gaborone in Botswana, currently studying an AAT Diploma. She entered Big Brother Hotshots because she believes that “it’s a platform for people like me who were born for the spotlight. It puts us out there to succeed in our careers – in my case, my music career”. She’s excited that the whole continent will be watching her: “it is like interacting within the house with someone invisible, or a ghost, and the thought of what they think just gives you an adrenaline rush”. She says her best quality is that she analyses things before overreacting in certain situations. She likes people who are communicative because it helps her see what they think of her and how she should behave around them. She dislikes bossy people and “people with similar strands of personality to me”. She likes to eat prawns and rice, as well as pap and beef. Her favourite book is In The Meantime and her top TV shows include Big Brother Africa, Keeping Up With The Kardashians and How Do I look? She enjoys the music of Beyonce, K.O., AKA and Tamela Mann and says her favourite actors are Cameron Diaz and Dwayne Johnson. Her favourite films also include The Hunger Games, Wrong Turn, The Break of Dawn and Mean Girls. Sheilla’s favourite part of Botswana is the Makgadikgadi Salt Pans and says that the best thing about Africa is “the diverse but highly-principled cultures which Africans tend not to leave behind”. She says that Las Vegas is her favourite place outside of Africa, because “it is a crazy, forever jolly holiday destination. 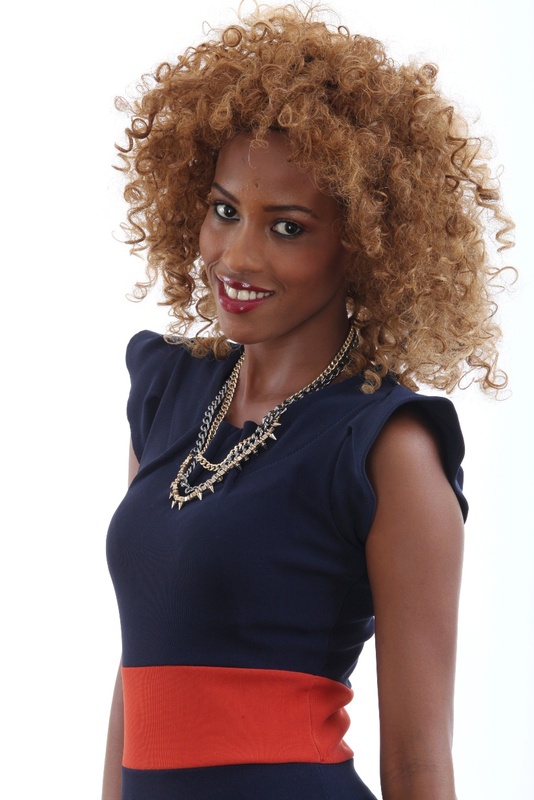 Sabina is a TV & Media Personality from Mombasa. She has a Degree in Finance and is working on a post-graduate diploma in Humanitarian Studies and Diplomacy. She says she eats everything and “loves mixing stuff up and making food concoctions“, she’s also a big fan of oxtail, avocado, fish. Her favourite books include Joyce Meyer’s The Confident Woman and Hinds Feet In High Places by Hanna Hunard. She has a long list of favourite TV shows: Upishi Xtra, Gavana, Orange Is The New Black, Smurfs, Devious Maids, Long Island, Oprah’s Next Chapter and Masterclass. She entered Big Brother Hotshots to win the money and change her life, and the lives of others. “It’s something I’ve envisioned for a long time and it’ll give me a chance to show Africa that I’m a star,” she says. “I can entertain, but I’m also a human with problems, just like anybody else“. If she wins the money, she’ll leave it alone for a month before buying a house, spoil her family with a holiday, build her Grandmother a house, save towards her daughter’s education, support her adopted charities and invest in her business. Self-employed former law student Samantha is from Potchefstroom in South Africa’s North West Province. She loves sushi and Indian food and her favourite TV shows include 2 Broke Girls and Person of Interest, and she likes the music of Taylor Swift, Rihanna, Davido and Drake. Her favourite films include Ice Age, Madagascar, The Perks of Being a Wallflower and This Is Forty, with Angelina Jolie her favourite actor because “she’s strong, yet feminine and an amazing actress“. Her favourite place in South Africa is Johannesburg, and she says the best thing about Africa is “the diversity of the people and the cultures“. Her favourite city outside the continent is Jerusalem, which she calls “a beautiful place“. Samantha says her sister is her role model, because “she’s inspired me to be so much more and has played a huge role in my life“. Samantha was inspired to enter Big Brother Hotshots, something she’s wanted to do for “a very long time” because she finds cultures fascinating “and the thought of spending time with so many people from so many backgrounds is awesome“. If she wins the grand prize, Samantha will help the orphanages she volunteers at and take her sisters on holiday, before investing the rest. She describes herself as “adventurous, random, witty, caring and honest” – the final trait being her favourite. It’s also something she values in others, despising dishonesty and rude people. Professional sushi chef Permithias unsurprisingly lists sushi as one of his favourite foods, alongside pizza. He doesn’t have a favourite book, but enjoys watching The Originals on TV. A fan of animation, Permithias’ favourite films are Turbo and Happy Feet, while he also likes the music of Chris Brown, James Blunt and Joe Tomas. He was inspired to enter Big Brother Hotshots because he’s been watching the show for years but won’t sell his soul or lose his self-worth in the process. Asked how he feels knowing that the whole continent will be watching him 24/7, he says: “scared, but it will all come together the way it should”. If he wins, he’ll take care of his Mom and open his own restaurant. Permithias says he’s easy-going, open-minded and ‘down for whatever is fun’ and enjoys others who are also open-minded. Nhlanhla is from Witbank in South Africa, and is a Business Analyst, Actor and Model with an Honours degree in Information Systems. He loves fresh butternut soup, lamb shank & vegetables and cottage cheese pie. His favourite books include Animal Farm and The Great Gatsby and he enjoys Game of Thrones, Shameless, Suits and Heroes on TV. He lists Brad Pitt and Will Smith as two of his favourite actors. His favourite place in South Africa is the Groenkloof Nature Reserve in Pretoria and the best things about the continent as a whole are the people and their strength & resilience. Amsterdam made a big impression on him at a young age when he went there and learnt a lot about himself and personal growth. His mother is his role model, because she sacrificed a lot to get him where he is today and taught him a great many things. Together with his Grandmother, she has influenced his life a great deal because they were always strong-willed and gently guided him through life. Nhlanhla entered Big Brother Hotshots because he’s been a fan ever since he saw his first season on DStv. “I just knew that I wanted to be on the show myself, and wanted to take the opportunity to have my personality spread all over the world”. He thinks having the continent’s eyes on him 24/7 will be “nerve-wracking”, but says it’s a great feeling knowing he’ll be watched by the continent and can influence the viewers. He describes himself as “crazy, eccentric, narcissistic, energetic and spiritual” and enjoys the fact that he’s always positive and optimistic, and always sees the beauty in others. 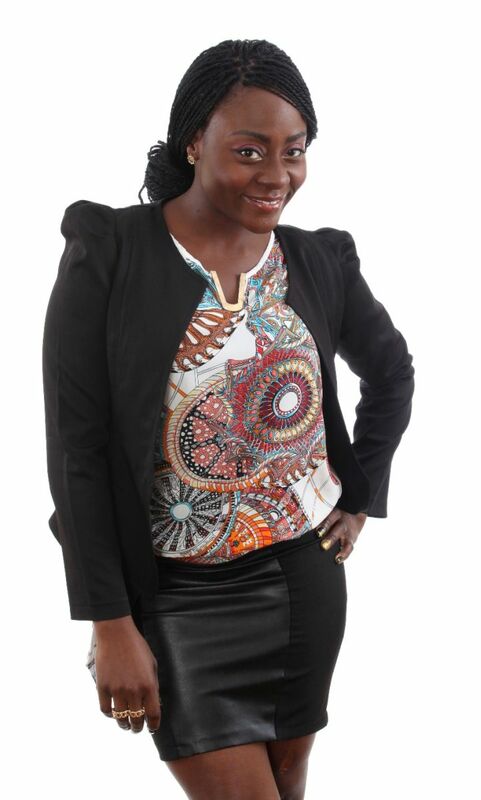 Lusaka-born Resa is an Event Planner, MC and Public Speaker. She entered Big Brother Hotshots in the hope of winning the grand prize and being able to pay off her mother’s debts. “She has moved heaven and earth to ensure that I get my honours degree and in the process she has incurred debts,” says Resa. Resa describes herself as “unique, colourful, bubbly, random and hyper”, saying that her inquisitive nature means that she won’t suffer in silence. “I’m apologetic, my outspoken nature, I’m a go-getter, open-minded and spontaneous,” she says. 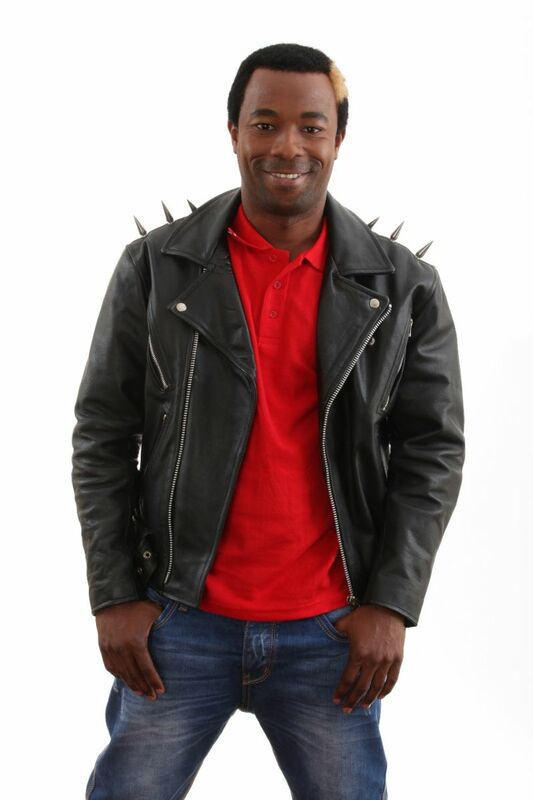 TV presenter, Mr 265 is single and currently studying Purchasing and Supply Management. He entered Big Brother Hotshots because he always thought he could win it, when he used to watch it. “It’s easy to criticize people on different things, especially when you don’t know how it’s like being in their shoes,” he says. “I have watched Big Brother for a while and I have always told myself I can win the show, I can do better, but I don’t know what really goes on. So I have given myself a challenge to now step into the shoes I wasn’t wearing before and see how I will walk with them”. Mr 265’s favourite food is crispy fried chicken, his favourite book ‘Screw It, Let’s Do It’ and his favourite singer, P.Square. He enjoys watching, CSI Miami, Big Brother Africa and Suits on the small screen, and 300, The Bourne Identity, The Dark Knight Rises and The Italian Job on the big screen. His favourite actors are Dwayne Johnson, Vin Diesel and Robert Downey Jnr. He won’t pretend to be someone he’s not, to win the grand prize. “It’s very disappointing to get booted out and know that you weren’t your real self. I would rather lose the money at the expense of being myself. Then I can say I tried my level best. Everybody has his own morals,” says Mr 265. Asked about his feelings on knowing that the continent’s eyes will be glued to their screens 24/7, he says he’ll feel the pressure. “Pressure is and will be there for the first few days. I am taking it like a new job”. He says that the best thing about Africa is that it’s very rich in natural resources, with Mangochi as his favourite place. Further afield, his favourite place is the USA, because “it’s a big country and has a mixture of different people with different cultural backgrounds. Raw talent is an asset,” he says. Mozambican student intern, Mira, likes to eat pap and beef stew, the music of Sia and Miley Cyrus and watching Lost and Covert Affairs. Her favourite book is Redeeming Love by Francine Rivers and her favourite actor is Adam Sandler because ‘I trust him to get a chuckle out of me’. She has one older sister, and a younger brother and sister. Her favourite place in Mozambique is Maragra. She says the best thing about Africa is that “it’s the Motherland – you feel the warmth here”. Her favourite faraway place is the United States, because she loves the diversity there. If she wins the grand prize, she says she’ll build her parents a retirement home, open a soup kitchen and shelter in the heart of Maputo and start a business to create more employment opportunities. She describes herself as “fun, honest, reliable, fair and considerate” and says that she’s “laid-back and easy to talk to”. She enjoys people who are considerate, honest, reliable, fun and opinionated, but doesn’t like rude and judgmental people. Hip hop musician Macky2 is from Luanshya in Zambia. His favourite book is 48 Laws of Power and his top TV shows are Suits, Crisis, Game of Thrones and Idols SA. His favourite actor is Denzel Washington, because he’s able to play so many characters and bring each one to life. Jay-Z is both his favourite musician and his role model – the latter because “he’s one of the most successful entertainers of our generation”. His father has also played a huge role in Macky2’s life. 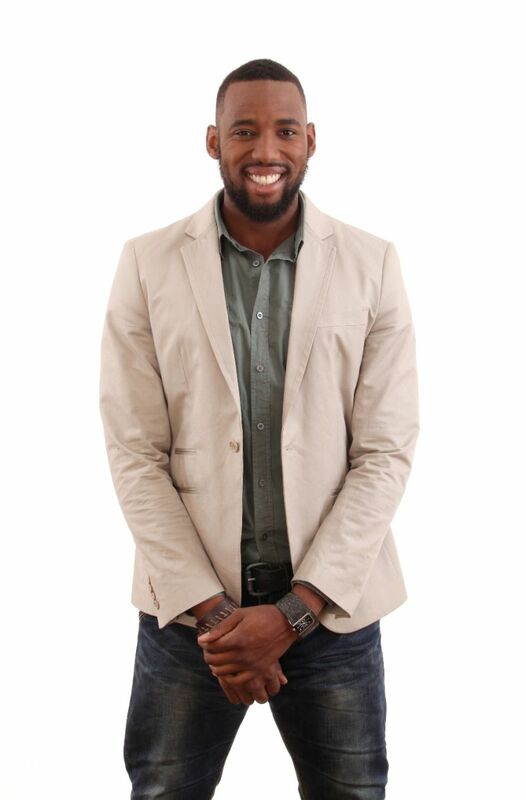 He entered Big Brother Hotshots because he believes that “people naturally fall in love with my personality, so I know I stand a chance of winning that grand prize and changing my life”. Macky2 says he won’t lose himself and what he believes in, along the way. Describing himself as “a natural entertainer who’s loveable”, he says he always pushed himself and is never discouraged by setbacks. “I’m confident and I truly believe I can do anything I set my mind to,” he says. Born in Accra, Kacey Moore is a married poet and songwriter, with a daughter. He enjoys banku and okro stew and says his favourite books are the Bible, the dictionary, and the thesaurus! Kacey Moore also likes the music of Usher and Lauryn Hill. Kacey Moore describes himself as a’ go-getter’, as well as ‘punctual, a leader, a creator and a voice’. His favourite quality, punctuality. It is important to him in both himself and others. 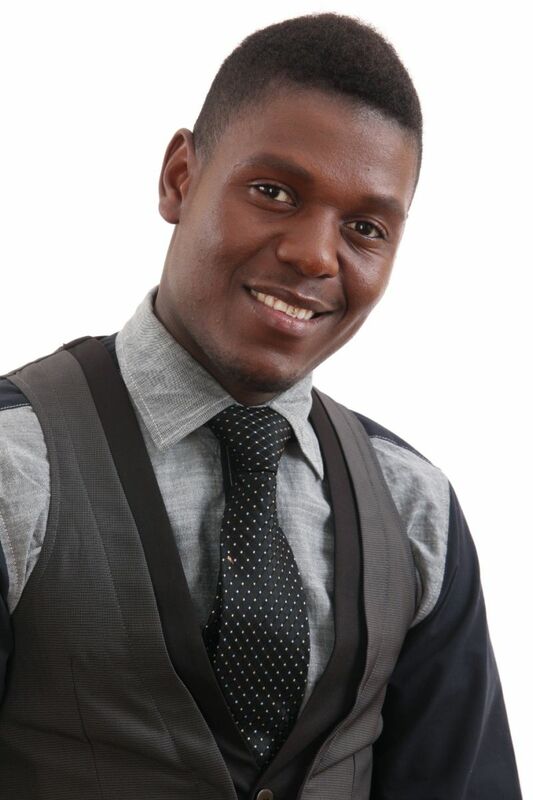 He entered Big Brother Hotshots as a business decision, seeking exposure to the rest of the world. Kacey Moore promises viewers ‘a real person with no fakeness’. If he wins the grand prize, he’ll buy houses for his wife and mother and set up a recording studio so he can record and release his own album under his own label. Ghanaian M’am Bea lists her occupation as ‘Acting Trainee Manager/Fashion Designer’, and has a diploma in Management Finance. Her favourite foods are yam and nkontomere stew, fufu, palm nut soup and jolof rice. M’am Bea likes music by Sarkodie, Mafikizolo, John Legend, Wizkid and D’Banj. Her favourite place in Ghana is Aburi Garden and she says the best thing about Africa is that ‘it expresses diversity through colours and we are not ashamed to exhibit that’. Outside of her home country, her favourite place in the world is South Africa: ‘it offers so many opportunities and it offers young people the opportunity to study and become great people in the world’. M’am Bea’s role model is her mom, because ‘she is strong, humble, God-fearing and puts her family first’. Inspired to enter Big Brother Hotshots by her talent and ‘the unity of all African countries coming together as one to learn and share’, M’am Bea also lists making it onto the show as her proudest achievement so far. ‘It will give me room to showcase my personality and influence young, gifted youth out there,’ she says. Describing herself as a ‘driven, humble and respectful self-starter’, M’am Bea says that viewers can expect her ‘true self’, her ‘fashion sense, sense of humour, cooking skills, intelligence and wise words’ to shine through on screen. She says she’s ‘humbled and overwhelmed’, knowing that the continent’s eyes will be on her. Associate Producer Luis has a B. Tech in Financial Information. He loves anything made with or from potatoes, his favourite book is The Alchemist and he enjoys the music of Kanye West. His favourite TV shows are Game of Thrones, The Fixer and The Good Wife, and his all-time favourite film is Ali. Luis says his favourite place in Namibia is the river beds in his home town of Rundu, ‘where the mighty Okavango Delta flows into the ocean’. He says that the best thing about Africa is ‘the diverse cultures – however different, every single one is somehow relatable by being connected to the next one’. He calls Los Angeles ‘the city of dreams where anybody can make it, given the right amount of perseverance and correct hustle’. His role models are his parents because they had the biggest influence on his life. ‘They took care of not only my siblings and I, but also my cousins, grandmother and their own siblings,’ he says. ‘They taught me spiritual values from infancy – those values have brought me this far in life’. 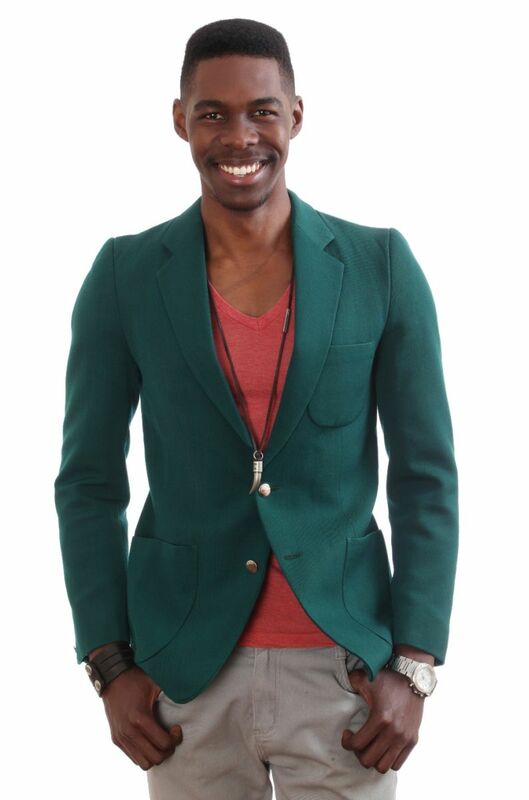 He’s most proud of the achievement of graduating from university while being Namibia’s top male international model. 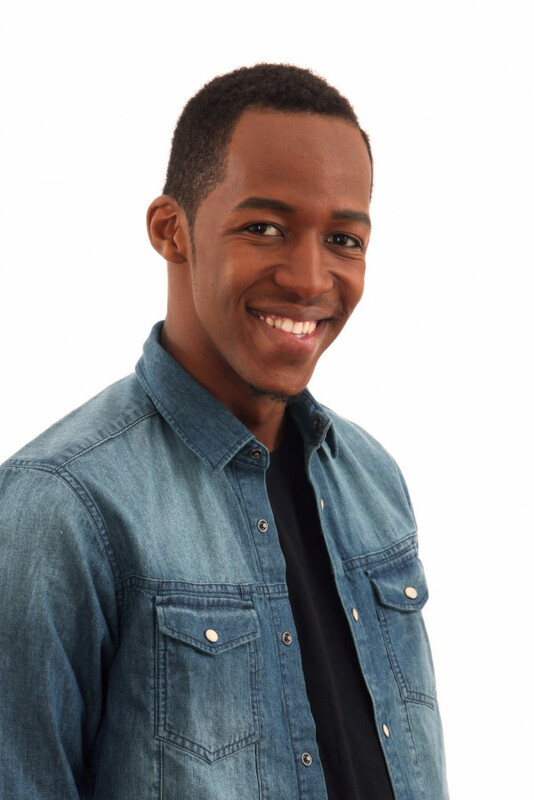 Luis entered Big Brother Hotshots because Namibia has never been represented by anyone from the Okavango region before. ‘I’d be grateful to tell my story to Africa – hopefully it inspires many others with a similar past,’ he says. He’s excited to have the whole continent watching him and If he wins the grand prize, Luis will build a film and television studio in Namibia. 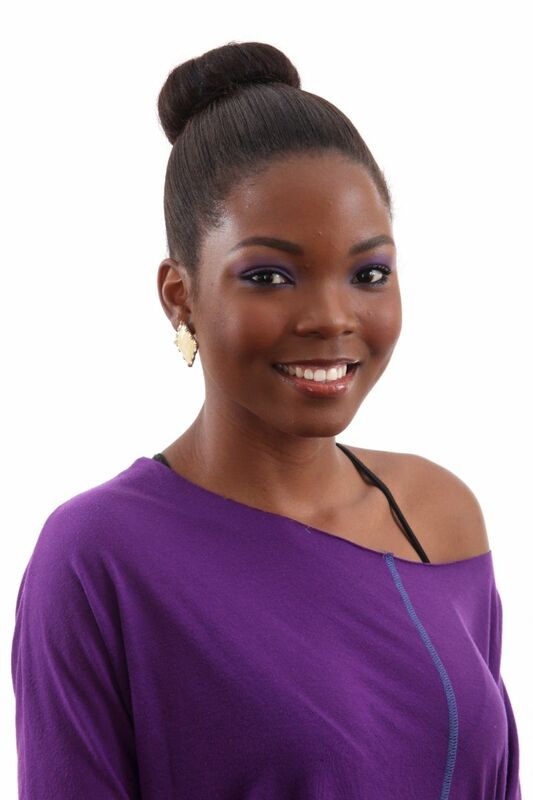 Known as ‘SexyLeeLee’ to her friends, Lillian is a model, actor, presenter, and tax collector! 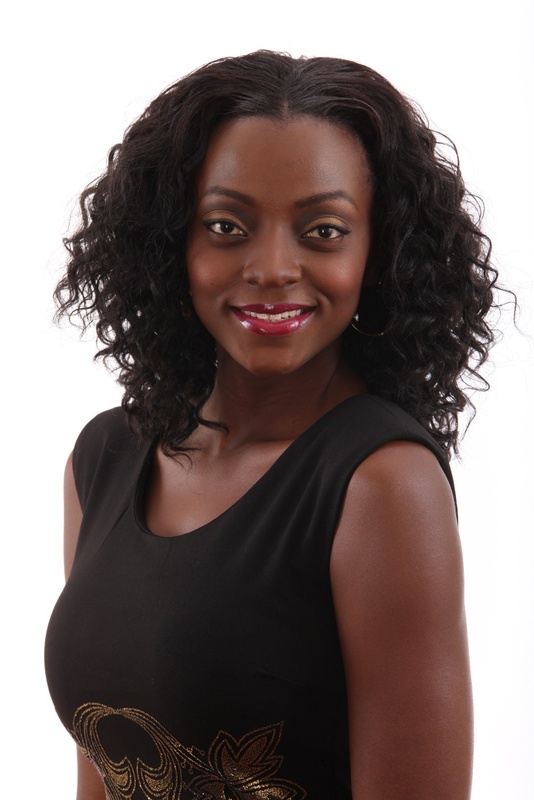 She entered Big Brother Hotshots for ‘the platform it provides and the publicity that comes with it, and the money’. She’s not willing to sell herself short to win the grand prize. If she does win, she’ll invest in her talk show, which is about ‘helping upcoming talents’ and get herself a house. Lilian’s favourite foods are rice and plantain and she likes watching Baggage on TV and listening to 2Face Idibia. She doesn’t have a favourite book, but likes movies like Think Like A Man, Blended, Friends With Benefits, Bridesmaids and Twelve Years A Slave. Her favourite actor is Angelina Jolie, because ‘she’s creative and can switch between roles’. Her favourite place in Nigeria is Lagos, and she says the best thing about Africa is its cultural diversity. Outside her home country, she’d like to visit California for the opportunities she believes it would provide her to improve her career. Lilian’s role model is Oprah Winfrey, because of her strength, and the person who has most influenced her life is her mother, ‘because she has always believed in me and encouraged me to follow my dreams’. She describes herself as ‘spontaneous, easy-going, focussed and confident’ and says her best assets are that she’s ambitious, a good listener, flexible, persuasive, competitive, independent and original. 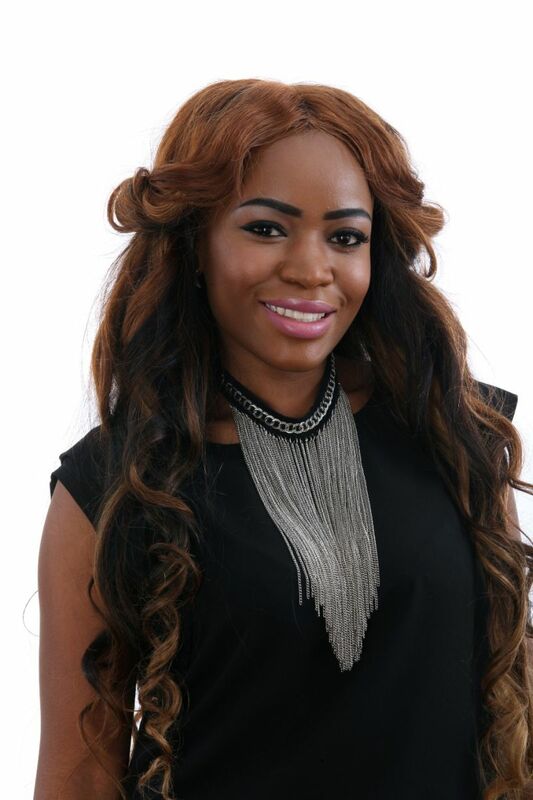 Bachelor of Arts & Social Sciences graduate Laveda was born in Dar Es Salaam. She’s single and describes herself as ‘eccentric, loving, caring, simple and fun’. Laveda is the eldest of three children and she has a younger brother and sister. She says her mom is her role model, because she has moulded her over the years and inspired her in different ways ‘through the struggles and joy of life’. Laveda says her favourite foods are pasta and minced meat, and prawns. She loves to read John Grisham novels and enjoys the music of Shakira, D’Banj, Miriam Makeba, P.Square, Rihanna, Beyonce, Tiwa Savage, Yvonne Chaka Chaka and Brenda Fassie. She’s a mean entertainer herself, she plays the saxophone, sings, acts and dances and thinks she’d make a ‘potential’ presenter. Laveda’s favourite movies include The Notebook, Titanic and Avatar. 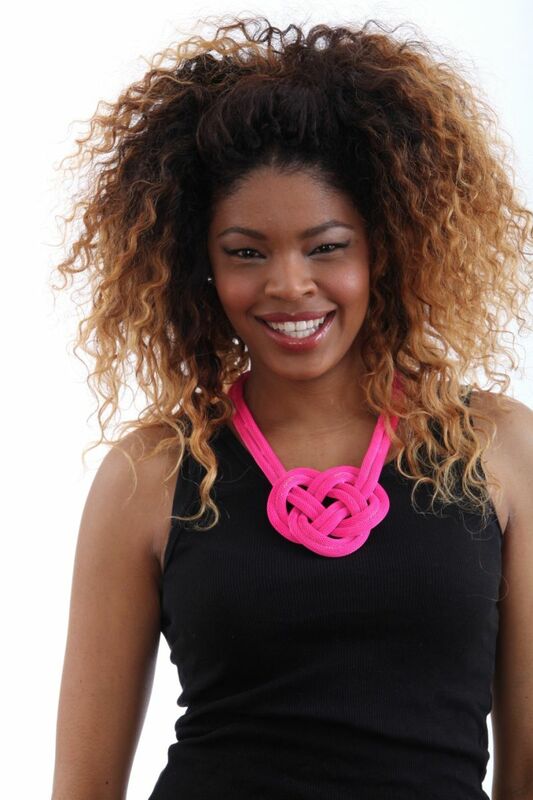 She entered Big Brother Hotshots to be a role model and act as a voice for Africa’s youth. Laveda says that viewers can expect ‘massive entertainment’ from her and that if she wins, she’ll give her mom some money, ‘surprise disadvantaged children’, travel and invest the rest. JJ calls himself ‘an entertainer’ on the back of his work as a ‘singer, rapper, actor, songwriter and director’. 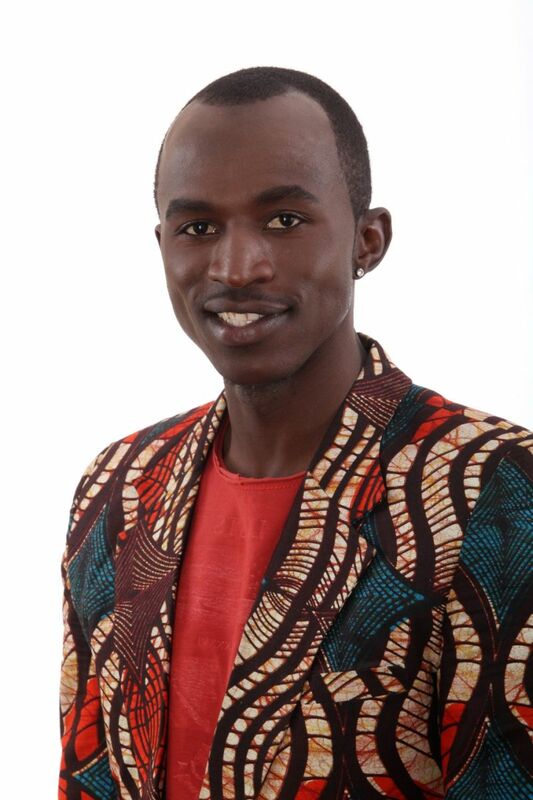 His inspiration behind entering Big Brother Hotshots is the platform the show provides. ‘It’s a necessary foundation for me to be able to produce my own music even if I don’t win the money,’ he says. He says that viewers can expect to be entertained, and that they’ll also have a gym partner every morning. If he wins the money, he’ll fix up his parents’ house, invest in his career by working n his first international album and give some money to charity. JJ loves Italian and Japanese food, his favourite book is Shakespeare’s Macbeth and his favourite TV show is Elementary. His favourite musicians are JP Cooper, Stevie Wonder, Justin Timberlake, Kanye West and MiCasa’s J.Something. His all-time favourite films are 300, The Vow and American Gangster, with his favourite actor, Denzel Washington. He believes that the best thing about Africa is that ‘the people are all full of life’. His favourite place in Zimbabwe is Inyaga, and outside it, Manchester in England, ‘home of the greatest football club and where I found my feet and my passion’, he says. Bachelor of Fine Arts theatre student Goitse hails from Mahalapye in Botswana. ‘Home, Sweet Home’ is her favourite place – ‘the comfort, a home-cooked meal and my family just make it my favourite’, she says. She says the best thing about Africa is its history: ‘it’s so rich with history of what our forefathers have gone through’. South Africa is her favourite place outside of Botswana because she has ‘met great people there who have become family. They also have a range of interesting official languages’, which are similar to those in Botswana. 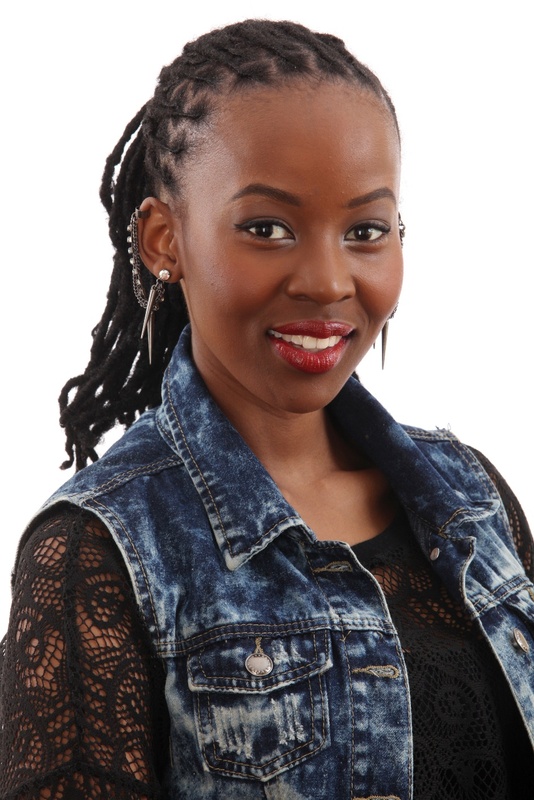 Goitse says she entered Big Brother Hotshots for the adventure. ‘People from different countries in Africa, all under one roof, no contact with the outside world in any way? Now that’s amazing!’ she says. In her quest for the prize, she won’t pretend to be someone she’s not and if she wins, she’ll use the money to open a dance studio. ‘That will be a dream come true,’ she says. ‘I haven’t decided on what else’. She says her mom is her role model – ‘she’s a fighter and a survivor. She’s been through a lot of hardships, but she stands tall and strong. She always pushed me to be the best I can be, no matter how challenging it can get’. Goitse describes herself as ‘carefree, free-spirited, fun, energetic and motivated’. Pint-sized student Esther hails from Uganda’s Nsambya . She says she entered Big Brother Hotshots to connect with people from different countries, and to help her expose her talents, something she sees as ‘a very big inspiration’. She’s looking forward to giving Africa the chance to see her ‘true self’ and describes herself as ‘meek, bubbly, creative, truthful and loving’. Esther likes the fact that she’s ‘bubbly, friendly and outgoing’. Her favourite foods are mashed potato and chicken tikka masala, her favourite book, Rich Dad, Poor Dad and her favourite musician, Rihanna. She likes The Wendy Williams Show and her favourite actress is Zoe Saldanha. Esther says that Jinja is her favourite place in Uganda, which she describes as ‘the pearl of Africa’. Outside of her home country, she sees California as ‘the place of dreams and fun’. The most influential person in Esther’s life is her brother Fred, because ‘he has been there for me and he always will be’. Esther promises viewers ‘unique skills, entertainment and being myself always’. If she wins, she plans to invest some of the money, donate some to charity and support her family and career. Idris is a photographer from Arusha in Tanzania. His favourite books are ‘anything by Dan Brown’ and he enjoys watching The Colbert Report, Drunk History, The Daily Show and The Ellen Degeneres Show on TV. His musical tastes are quite varied: Chris Brown, Michael Jackson, Usher, Ed Sheeran, Sam Smith, Lana Del Ray and Nina Simone are his favourites. Idris says he doesn’t have one specific role model, choosing instead to take the best from every successful person he meets. That said, his Mom has influenced his life most. He’s most proud of the respect he’s earned by showcasing his skill and creativity in photography. He was inspired to enter Big Brother Hotshots because he wants to inspire people and make a name for myself in the process,’ he says. He feels ‘thrilled, excited and accomplished, totally special’ that the continent will be watching him on the show and describes himself as ‘smart, charming, funny, flirty and creative’. Actor, Radio Drama Director and MC Alusa from Nairobi, Kenya, is married and has three children. His favourite food is ugali with chicken stew and traditional vegetables. His favourite book is TD Jakes’ He-Motions and he likes watching National Geographic, The Exes and Nigerian movies on TV. 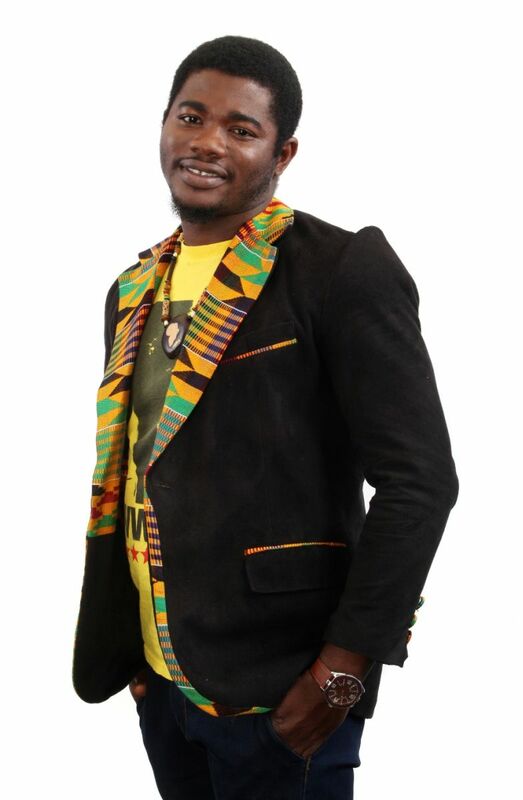 On the music front, he enjoys listening to Sauti-Sol, Mafikizolo, P.Square, Youssou N’Dour and Salif Keita. One of his favourite films, Training Day, features one of his favourite actors: Denzel Washington. Describing himself as ‘ambitious, spiritual, out-spoken, generous and mysterious’, Alusa likes people who are ‘detailed’ and who have a good sense of humour, because he likes to laugh. He doesn’t enjoy people who ‘emit negative energy’. Alusa lists Mombasa and his village of Kakamega as his favourite places in Kenya, because they’re both very exotic in their ways and rich culture. He says the best thing about Africa is the people. ‘Africans are both beautiful in form and diverse culture,’ he says. Outside of Africa, his favourite place is Brazil. ‘Rich culture, beautiful women, sweet samba music, festivals, food – I could go on and on,’ he says. Ellah is a Sales Assistant with a BSc in Business Computing from Nsambya, Uganda. She lists her favourite foods as ravioli, rice and chicken and her favourite books as Think Like A Man, Act Like A Lady, and Nice Girls Don’t Get Rich. 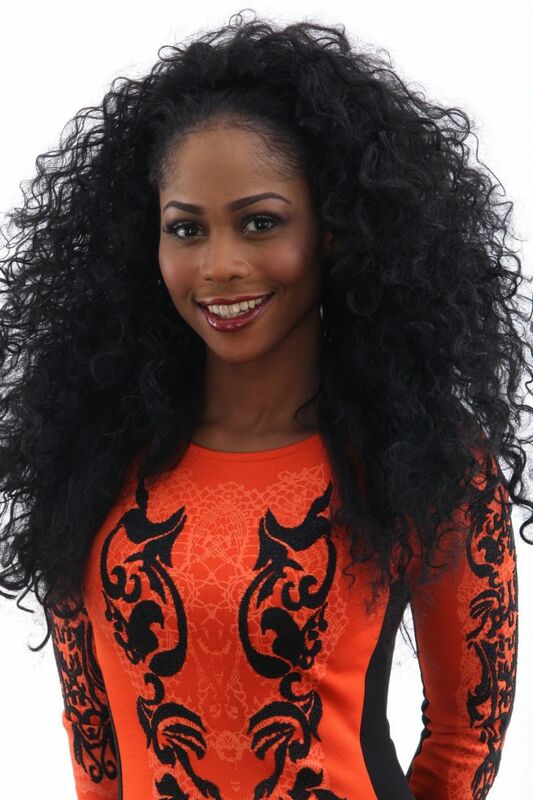 She enjoys watching Reality shows like Real Housewives of Atlanta, New York and Orange County. Her favourite singers include India Arie, August Alsina, Beyonce, Rihanna and Sam Smith. Her favourite place in Uganda is the Lake Bunyonyi Resort and she says the best thing about Africa is ‘the warmness of the people’. Outside of her home country, she says Cambodia is ‘a hidden gem and somewhat a free country’. Ellah has 12 brothers and sisters and says her Mom is her role model: ‘her strength and character captivate me’. 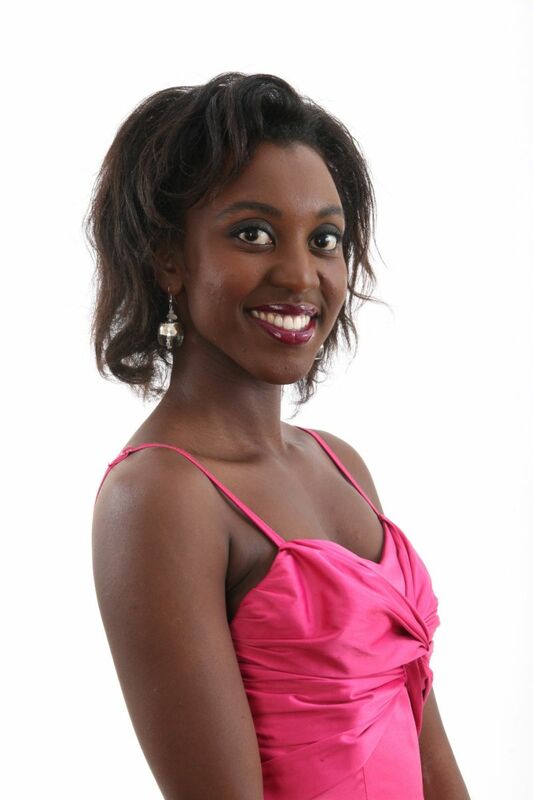 Ellah is most proud of having become Miss Uganda 2013/14 because ‘it was a stiff competition and a strong test for me’. She was inspired to enter Big Brother Hotshots because of the fact that ‘it unites Africa and also is a platform for me to advance’. She says she’s ‘super excited and is looking forward to being on the show. She describes herself as ‘charismatic, bitchy, outspoken, loving and sophisticated’ and says that she’s ‘strong and determined’. She values ‘honesty, charisma and joyfulness’ in others, but dislikes ‘lies and fakeness’. If she wins the grand prize, Ellah will buy cars for her mom and invest the rest in real estate. 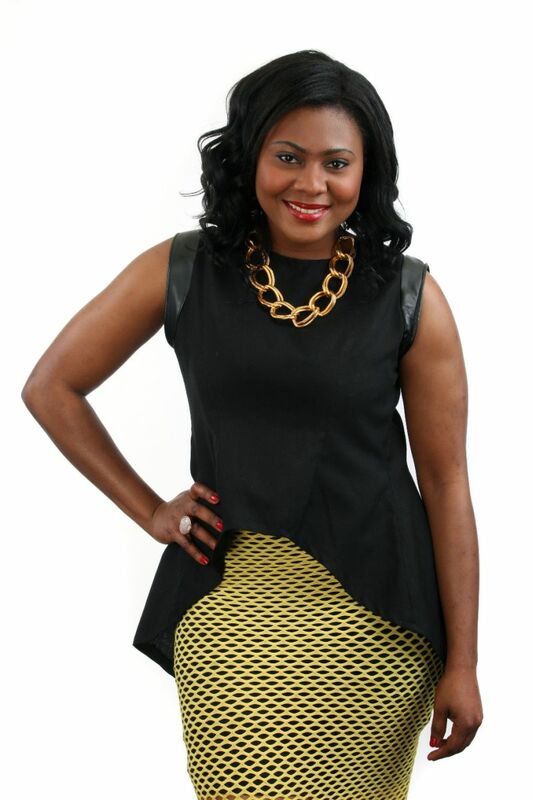 Butterphly is a Radio, Television Presenter and Producer from Harare. She lists her favourite foods as meat, pasta with cheese, black-eyed peas and eggs. Her favourite books include the Bible, The Firm, The Long Goodbye, and the Sherlock Holmes series. She likes to watch Chopped, 24, Intelligence and Big Brother Africa. Butterphly entered Big Brother Hotshots because she’d always wanted to be part of a national sports team, but never got the chance. 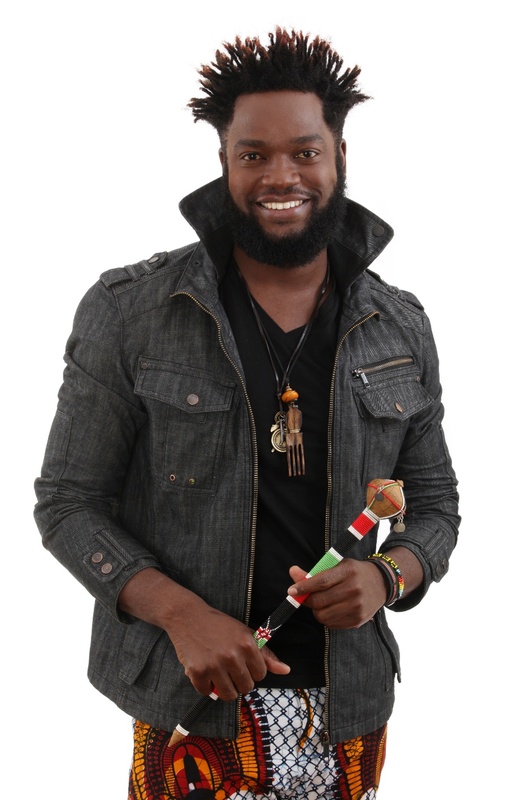 ‘Being on Big Brother Africa will allow me to take the opportunity to market myself and expand my brand’. She says she won’t use ‘backstabbing and cheating’ or immoral and unethical methods to get the prize. If she wins, she’ll send her sister, brother and kids to really good schools, start a chain of unique food, social and fashion hangout joints and take her mom shopping. Describing herself as ‘unique, feisty, mysterious, fun-loving and witty’, Butterphly says that people are always shocked when they discover that she’s humble, compassionate and kind. She likes other people with a sense of humour, honour and truthfulness, and dislikes ‘dishonesty and people who pretend to like a person’. Her mom is her role model: ‘she put her life on pause so ours could play. She’s the hardest working woman I know’. Butterphly says he draws influence from ‘all sorts of people’. ‘Ordinary, young, dead, legends – in everyone’s life story I try to extract important lessons like resilience, faith, strength etc. I learn as much as I can from the people I meet or read about,’ she says. Big Brother HotShots! 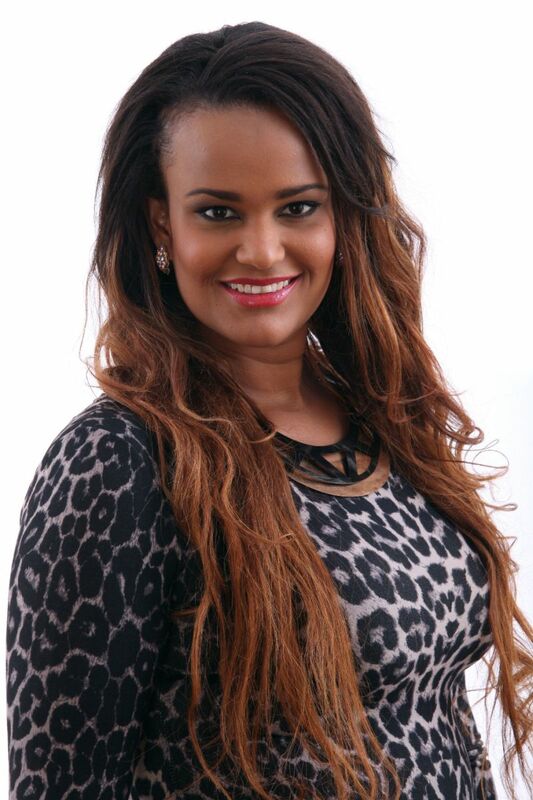 Tanzania’s Laveda is the 1st Head of House #BBHotshots 0 out of 5 based on 0 ratings. 0 user reviews.